Dave Schmidt Realty is a family-owned, full service real estate company. We have been serving home buyers and sellers since 1966. Our staff consists of one full-time professional Agent, and one part-time Personal Assistant, who also has a real-estate license. Service to our customers and clients is the most important to Dave Schmidt Realty. We subscribe to the philosophy of "under promising and overdelivering", so the value that is received is always greater than the price paid. We invite you to take a look at the results we've achieved for other buyers and sellers in the past years. You will see that you will get the best service available for your housing needs. Dave is a Certified Residential Specialist (CRS) and graduate of REALTORS Institute® (GRI). 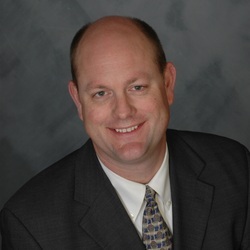 Dave Schmidt has been awarded the 2008 Realtor of the Year, as well as the 2009 Outstanding Service Award. He has also served as the 2007 Realtor Association Chairman, and was the 2009 Chairman of the MLS (Multiple Listing Service) Board. In 2003, sold 88 homes totaling over $17.6 million. Of the 5300+ MLS members in Greater Milwaukee, Dave Schmidt ranked #9 in single family homes sold in Milwaukee County in 2003! Active member of the Grievance and Arbitration Committee since 1995.